Liverpool Metropolitan Cathedral was lit up by candlelight and echoed to the sound of music at the annual NSPCC fundraising night. 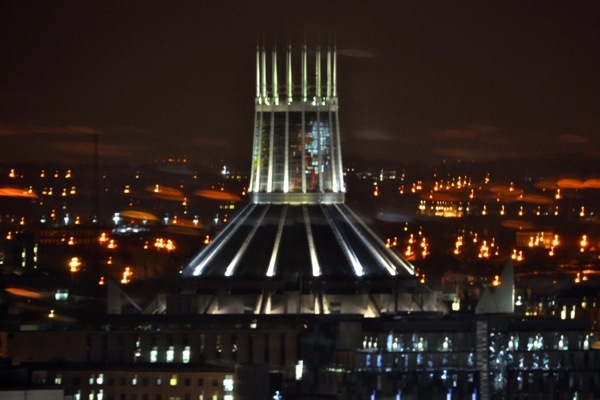 Carols by Candlelight is an event held each December for the past 11 years, raising vital funds for NSPCC Merseyside. Performances came from Wirral Schools Concert Band, Pop Vox Choir, Pownall Hall Senior Choir, plus Astrid and Alderley Edge Senior Girls Choir. The NSPCC is using its #SparkleOn campaign to support the children that benefit from their services. NSPCC Community Fundraising Manager, Janette Drew, told JMU Journalism: “This is an incredible event for the NSPCC across Liverpool. We have got a huge campaign in the run up to Christmas and it’s all about shining a light on neglect. “With one in 10 suffering from neglect we need to be there to make sure that we can support as many children this Christmas. “One third of calls in the run up to Christmas are from children with neglect issues, so its more important than ever to fundraise the money from fabulous events like this. Every penny from tonight is going towards the work that we are doing here in Merseyside. The Home Bargains-sponsored event raised £12,500 and organisers have already pencilled in the next Carols by Candlelight for December 5th 2019.